Raise your voice for Marble! Thousands of people use Marble on the Nokia N900 to find their way and explore the world. Become their voice! Record your voice speaking a handful of turn instructions like "bear left!" and participate in the Voice of Marble contest. 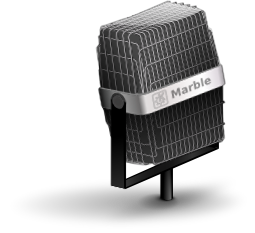 With a bit of luck, your voice will be chosen as the default speaker for voice guidance in Marble 1.2 (to be released in July 2011). We're looking for an English speaker (male or female) whose voice will be shipped with the Marble packages. And we're also looking for alternative speakers for all other languages - at least one each, and that's a lot! Please participate in the contest and spread the word among your friends. The five best contributions will get a cool Marble T-shirt as a little present. Interested? Please head over to the Voice of Marble wiki page which contains all the details you need to participate. Upload your voice in time for the upload deadline (cf. timeline above). See Upload for details. The deadline for submissions is Friday, July 15th 2011.